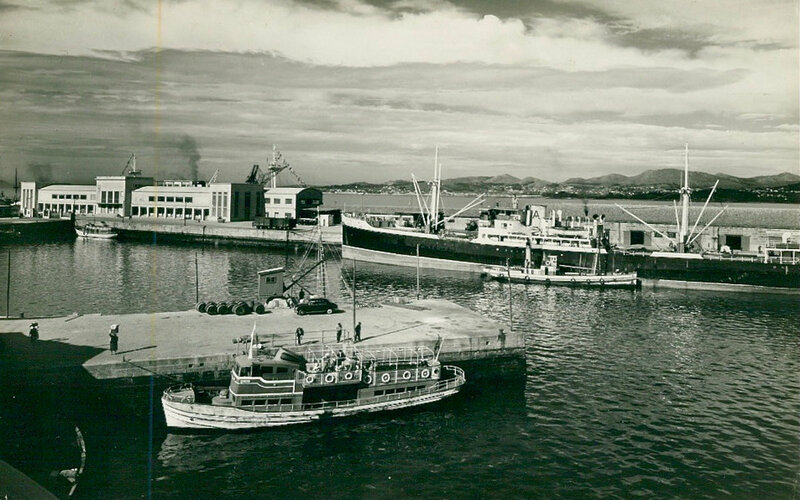 Berthed at Vigo On 1929 the Naviera Sota y Aznar began receiving eight sister motor ships, built by Euskalduna. They were: Axpe-Mendi, Ayala-Mendi, Altube-Mendi, Arnabal-Mendi, Aya-Mendi, Anboto-Mendi, Artza-Mendi and Araya-Mendi, renamed on 1939 as Monte Albertia, Monte Ayala, Monte Altube, Monte Arnabal, Monte Almanzor, Monte Amboto, Monte Abril and Monte Aralar respectively. They had 2,955 GRT, with 107.4 meters length, 13.9 breadth and with 6.2 depth, and 3.820 MT of cargo with maximum draft 5.9 meters. All them had a diesel engine Burmeister & Wain, with 6 cylinders with 600 mm diameter and 1,060 stroke, with 1,908 HP, what gave them 11 knots consuming 4.5 MT of gasoil daily. The Altube-Mendi was sold on 1969 to Armadores de Cabotaje, keeping her name. She was lost on 16/December/1972 after grounding close to Tarfaya (Morocco) in a trip carrying wheat in sacks from Cádiz to Mauritania.